Jingle bells, jingle bells, jingle all the way; it is the best time of the year so let us all wear the best, do the best and slay the rest all through the day. Hey everyone, we wish you a season of festivities and avid merriment where you don’t feel low, where you enjoy to the most, where you do all the fruitful stuff and may all the remaining months of the year be a phase of beautiful transformation. Make as many memories as you can in these 2 months, because this warm time will always set a mark on your mind and you will cherish that throughout the next year. Correct me if I am wrong, but yes we all do enjoy this happening time of the year and it makes us all go breathless. The snow is on its peak making the floor and the sky super white. Santa is somewhere skiing around just to reach out to us and give the due presents and gifts that we all have been waiting for. So tell us what do you do when Christmas and the New Year comes by? Do you set out to make the day outside of your house, or do you arrange little get together party at your place? Let us know about your preparations, we will be happy and glad knowing about it. 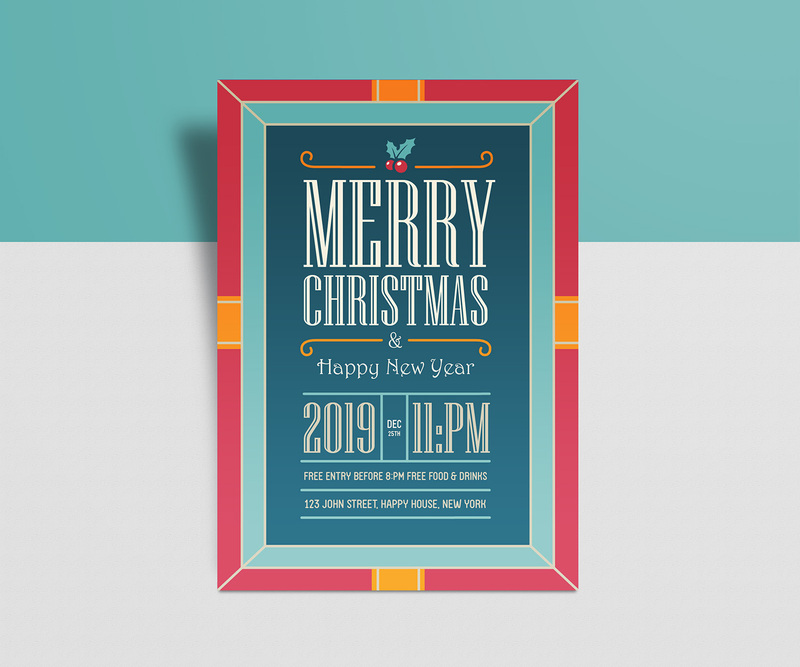 Down here you can see this free Christmas 2018 and Happy New Year 2019 flyer design template that you can look up for inspiration as well just for an idea that how the flyer can be made. 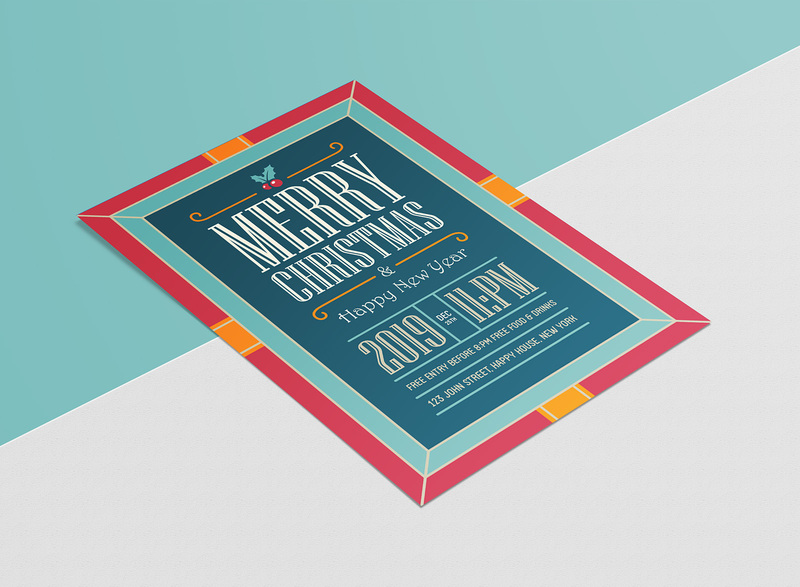 Of course it is a kind of an event which encompasses excitement and enthusiasm so the colors/fonts that one should use while designing the flyer of Christmas and New Year should be bold enough, louder and clearer so make them readable. It has to be captivating and full of warmth to give out an oomph element of the festivity. For more amazing collection of design stay tuned to us, we are here to provide you with the best we can. Here we go. Stay safe and warm because it is getting colder and a lot colder each day.